FILE - Federal terror suspect Omar Faraj Saeed Al Hardan arrives at the courthouse in downtown Houston back in January 2016. HOUSTON (KTRK) -- A terror suspect arrested in Houston in connection with two bomb plots is expected to change his plea. Omar Faraj Saeed Al Hardan, 24, has been held since January on accusations he wanted to blow up the Galleria and Sharpstown malls. 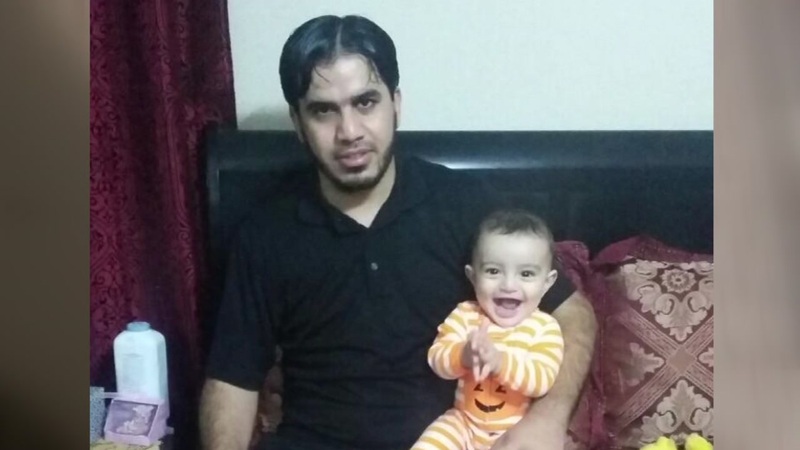 Bond was denied Wednesday for Omar Faraj Saeed Al Hardan, 24. Al Hardan is set to appear before a judge for re-arraignment at the federal courthouse in Downtown Houston later today. Al Hardan faces three charges, including attempting to provide material support to ISIL, procurement of citizenship or naturalization unlawfully and making false statements. 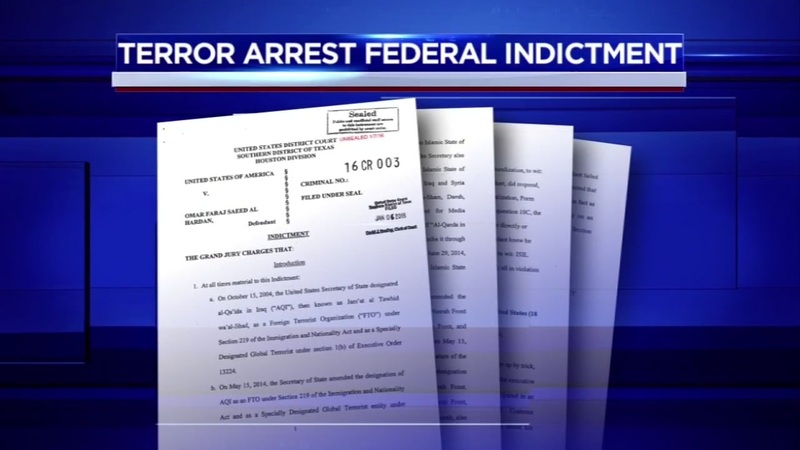 According to the indictment in January, Al Hardan attempted to provide material support and resources, including training, expert advice and assistance, and personnel - specifically himself - to a known foreign terrorist organization. He also is alleged to have knowingly responded, certified and swore untruthfully on his formal application when applying to become a naturalized U.S. citizen. He is accused of representing that he was not associated with a terrorist organization when he was allegedly associated with members and sympathizers of ISIL throughout 2014. 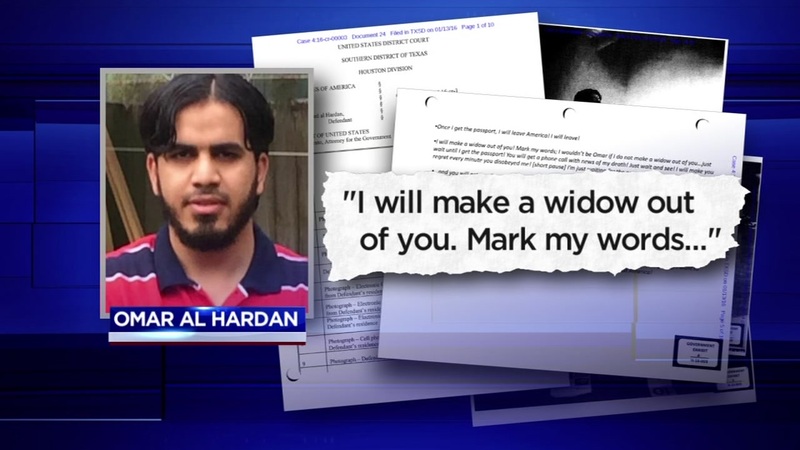 Officials say Al Hardan, a Palestinian born in Iraq, entered the United States as an Iraq refugee in 2009, and was granted permanent legal residence status on or around August 22, 2011. He has resided in Houston ever since. If convicted, Al Hardan faces a maximum sentence of 20 years imprisonment and a $250,000 fine. Additionally, a charge of false citizenship procurement carries a maximum sentence of 25 years. The family of a Houston man, arrested for his alleged involvement with ISIS says he loves America.